Join me for my first ever Steel Mace Certification!!!! The primary intention of this certification is to provide you with thorough education on how to effectively perform the steps and movements of SMF™️, successfully coach others through the program, and how to use the Flow Builder System and incorporate it into your fitness regimen. During the length of this certification we will emphasize the use of structure specific to SMF™️, demonstrate and explain the benefits of total body engagement, with and without the mace in hands, as well as the application of hand transitions and mace sequencing to perform smooth dynamic and effective transitions. 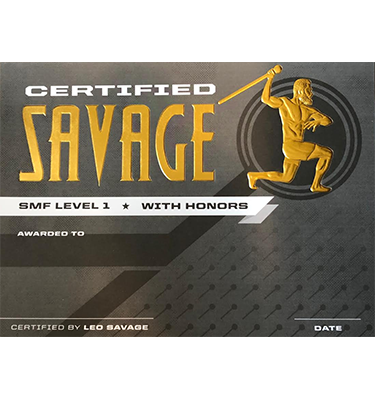 By the end of this Level One Certification you will be able to perform and instruct others on the Level 1 Content in addition to gaining a deeper understanding of why SMF™️ is beneficiary to all skill levels of fitness and the results that can be anticipated depending on the degree of application towards the program. © 2019 Steel Mace Flow ™.